Antiseptics Products for PCD Pharma Franchise – Antiseptics products are extensively used for treating all the kind of injuries and minor cuts. The minor cuts can occur anytime while you are working or studying and thus there is a high demand for these medicines. Numerous of a pharma company is dealing in the antiseptics products and thus choosing the best one is a little tricky. 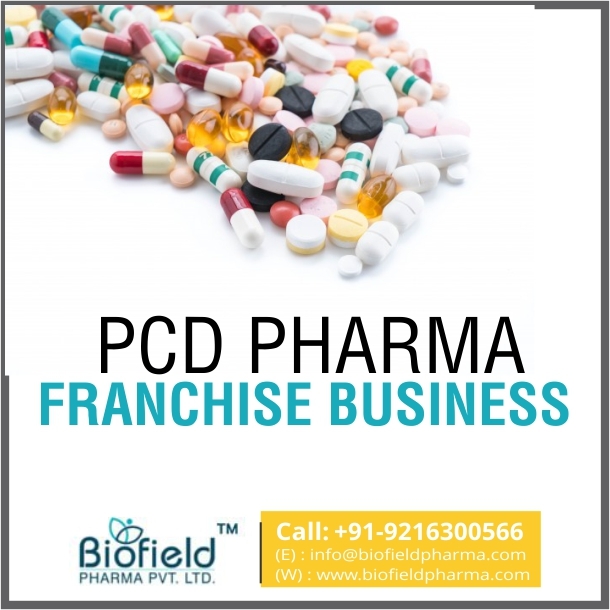 Biofield Pharma is the top pharma franchise company that is fulfilling all your requirements for the pharma franchise business. The organization is providing best Antiseptic Products for PCD Pharma Franchise. Biofield Pharma is an ISO certified pharma firm that produces all its products under WHO and GMP certified units. The company is backed with highly trained professionals who are helping us to produce only the best quality products range. We tend to follow all the strict quality guidelines and match our products to international standards. The company is offering the effective Antiseptics Products for PCD Pharma Franchise to all the business seekers who want to start their business. Being the leading company we have taken the responsibility to provide the best business opportunities. We make sure to provide you a safe, effective, pure and durable range of drugs, medicines, and products. In case you want to avail the franchise services or want to get any information regarding the company. Feel free to call us at +91-9216300566 or you can also mail us at info@biofieldpharma.com. Our team of members is always here to answer your questions and queries. Biofield Pharma is the reputed name in the pharma industry that is well known for providing its flawless drug range to its esteemed customers. The company has gain immense experience by working in the pharma industry. Therefore joining hands with experience holding company will give you an upper hand in the pharma sector. WHO and GMP certified products are only produced by the company. All the products are DCGI, FSSA and FDA approved. Our infrastructure is well equipped with world class infrastructure and advanced tools. Quality assured products are only delivered from our end. As per the survey, India is one of the largest retailer, producer, supplier, and exporter of Antiseptic drugs. In India, the demand for this drug is 62%. The government of India is taking a quite productive steps for the increment of the pharma industry. The other major reason behind its increasing demand is, people are now becoming more and conscious about their health. The demand for the antiseptics will remain positive in the coming years. You can earn good profit margin by investing in this particular drug range. By associating with the top pharma company you will gain a better experience of work. The sterile market estimates at more than US$ 6.3 billion in 2017 and by 2026 it is expected to increase at US$ 10.6 billion. From the starting Biofield Pharma have set the benchmark in providing the supreme quality products. More than 350+ associates have connected with us to avail the various franchise benefits offered by us. The company work with professionalism and transparency that make many franchise holders rely on us. Impressive promotional tools are offered such as visual aid, visiting cards, diaries, brochures, written pads, calendars, MR bags, etc. Best marketing support that helps you to expand and grow your business successfully. 100% availability of all the products from our end. On-time delivery of products is our primary motive.